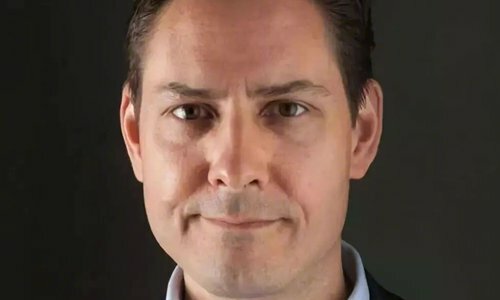 An open letter asking China to release two detained Canadians disrespects the independence of Chinese law, and does not represent mainstream international opinion, said China's Ministry of Foreign Affairs (MFA). The letter, which was signed by 140 former diplomats and so-called "Chinese experts," including five former Canadian ambassadors to China, asked China to release Michael Kovrig and Michael Spavor, who were detained on suspicion of jeopardizing China's national security in December. These diplomats and scholars made at least two mistakes. First, they equated the two with people involved in ordinary exchanges between China and other countries, Hua Chunying, spokesperson of MFA said on a Tuesday briefing. Second, this move interferes with China's sovereignty and domestic affairs, because asking China to release the two Canadians, who are undergoing an investigation, disrespects China's judicial independence and the spirit of the rule of law, Hua said. Hua also denied that such an open letter exerted international pressure on China, for this does not represent the mainstream voice of the international world. "China welcomes foreign citizens, be they former diplomats, scholars or others, to conduct friendly exchanges on the premise of respecting Chinese law," said Hua. National security authorities in Dandong, Northeast China's Liaoning Province and in Beijing are investigating the cases involving Kovrig and Spavor, Lu Kang, spokesperson of MFA, said in December. Kovrig worked for the International Crisis Group, which is not registered in the Chinese mainland. Hua said previously that Kovrig is not an active diplomat. He visited China with a regular passport and a business visa. He was suspected of endangering China's national security. Spavor, according to an Associated Press (AP) report, is known for his contacts with high-ranking North Korean officials. Spavor also helped facilitate NBA player Dennis Rodman's visit to North Korea in 2013, according to the AP report.